In for one… depending on price. Ohhhh snaps, Interested in 2 pending performance and price. How many, depends on the price. i like it , looks good. 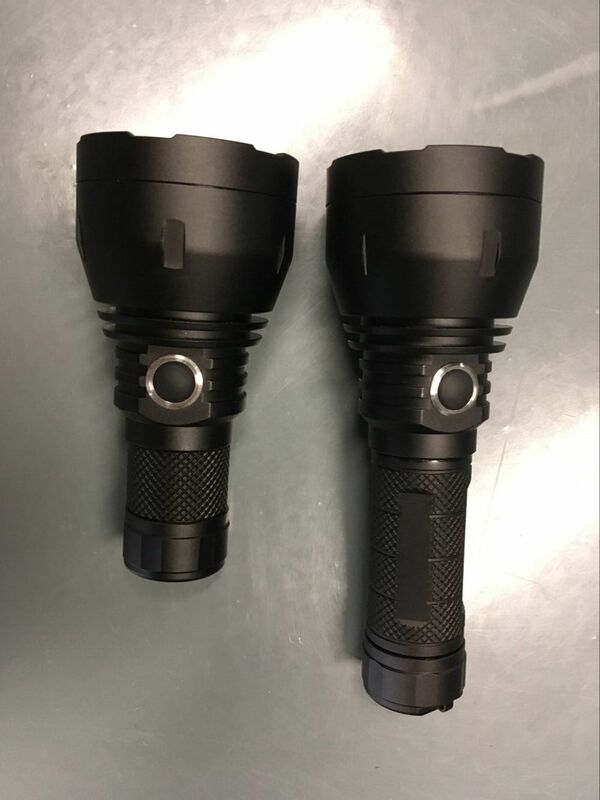 Would you consider it to be a C8 or UT02 or an L2 type flashlight? Triple click to show battery voltage, then double click for temperature, then double click to blink out firmware version. do you like the micro GT? I do, I would be especially interested if it could be shipped with short and long batt. tubes both!!! I’m in for 2 Mini GT’s. And please keep the name! No one asked about the driver? Is it using a Texas Avenger FET driver? In for one…What about middle brother with 21700/26650 and bigger head to be the set of 3 GT? It depends on the price and driver type. If it costs more than a D1S and has a FET driver then it’s not so compelling. If it has a more efficient type of driver then it could get interesting. Looks good, interested, please count me in for two…..
I’m also interested in one, if the price is nice , also two. I’ll take 1 for sure! Maybe 2 depending on the price. I’m interested to know more about the driver for sure.